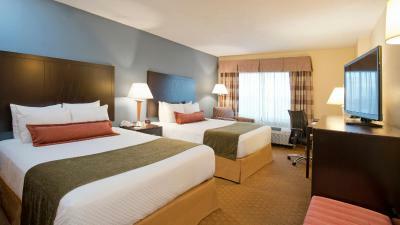 Lock in a great price for Best Western Plus Hotel & Conference Center – rated 8 by recent guests! Clean and well stocked the staff was very friendly. The bed was comfortable. The lobby was nice and well designed. The front desk staff were nice friendly and professional. The staff are nice and our room was big. Sheets were very clean. (I fear bed bugs when I go to hotels) The area is convenient. The pool is heated and my children loved it. Location was perfect for an event in Canton and the ample free parking was a bonus. Staff were uniformly helpful and friendly. Room was clean, and while dated, plenty of furniture to make two people comfortable. Bed awesome! Rooms nice , late dinner excellent , filet mignon was excellent!! , breakfast had many choices, even gluten free. Free parking. Staff were superb !! Great customer service. Location and the rooms were clean. Good water pressure. The hot water was HOT!! Very nice. Very satisfied with property and the value for the money. Excellent location near I-95. Great set up if your cruising from Baltimore. Have extended parking and shuttle transportation. Plus baltimore comedy factory is located in lobby. Friendly and helpful staff. Best Western Plus Hotel & Conference Center This rating is a reflection of how the property compares to the industry standard when it comes to price, facilities and services available. It's based on a self-evaluation by the property. Use this rating to help choose your stay! One of our top picks in Baltimore.This Baltimore hotel is only 10 minutes' drive from the center of downtown. 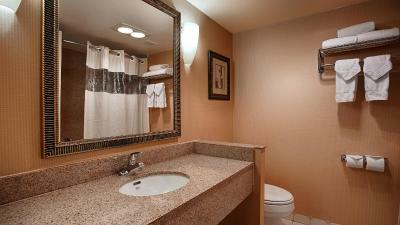 The hotel offers a gym, large business center and on-site dining. Rooms are equipped with microwaves and refrigerators. 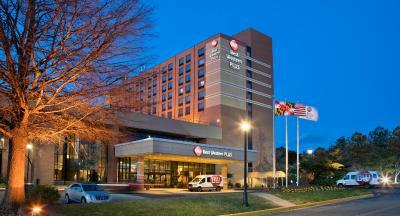 Every guest room at the Best Western Baltimore Hotel features free Wi-Fi and cable TV with in-room movies. A work desk and a lounge chair are also provided. 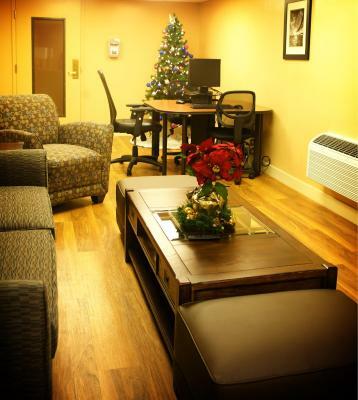 Guest can use the free area shuttle to Johns Hopkins Hospital and the Inner Harbor. An indoor pool with connecting outdoor patio is offered. Baltimore Hotel and Conference Center Best Western provides a hot breakfast every morning. Additional dining includes the Tradewinds Restaurant and Lounge and Toby's Dinner Theater of Baltimore. 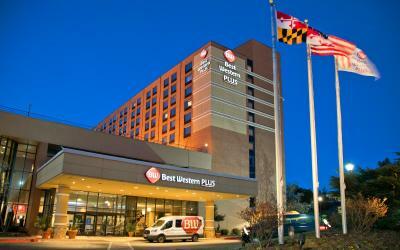 Baltimore Best Western Hotel is only a 10-minute drive from local attractions including M&T Bank Stadium, National Aquarium, the University of Maryland and Baltimore Convention Center. 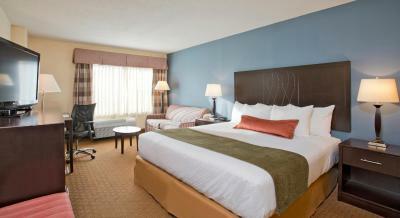 When would you like to stay at Best Western Plus Hotel & Conference Center? This suite features king bed. This room features king bed. This room features two queen beds. I am the general manager since 2006. Our mission at Best Western is to make each & every guest experience unique. We are conveniently located off I-95 less than four miles from the Inner Harbor, Ravens Stadium, and Oriole Park at Camden Yards. 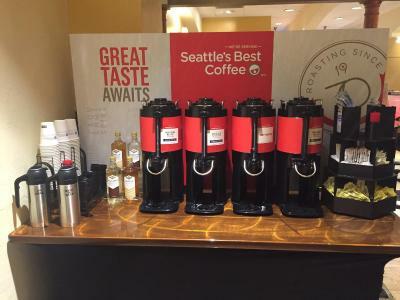 We offer free Hot & Cold Buffet Breakfast, free parking, free internet access & more. House Rules Best Western Plus Hotel & Conference Center takes special requests – add in the next step! Best Western Plus Hotel &amp; Conference Center accepts these cards and reserves the right to temporarily hold an amount prior to arrival. Best Western Plus Hotel & Conference Center accepts these cards and reserves the right to temporarily hold an amount prior to arrival. Please note, a security deposit of USD 150 is required upon check-in for incidentals. The hospitality suite looked clean but when you entered the room it had a strong foul oder. There was a used wash cloth hanging on the shower rod when we pulled the shower curtain back to take a shower ( yikes...yuck!) Over in the night we got hot in the room and it seemed as if we could not get the temperature accurately adjusted. I wish the bar was open later than 10 pm. The front desk staff were very helpful. For breakfast, there were several items not working. There was also only one staff working and many people had to wait around for food to be replenished. She was doing the best she could. The jacuzzi tub was not working, which my children couldn’t use. The television was in n analog so most of the channels were staticky. Though the pool is heated, the chairs and windows were dirty! As other guests have reported, the TV picture is often fuzzy. The AC system ran continuously, even when set to Auto. Inadequate outlets for charging electronics (one at desk) as well as set up for CPAP use. And I noted that an extension cord was in use behind the bed with too many items plugged in. Breakfast OK and as expected, although turkey sausages ran out at 9:30 and weren't replenished. Pulling up to the building everything looked great. Once inside the wallpaper was peeling behind the desk and the title was dirty in between the cracks. The elevator scared life out of me. I thought it was broke with me inside it. The 5th floor hallway smelled like cigarette smoke. The room was clean but the shower had a very slow drain. The water was up to my ankles. And the mattress was too soft.